This is dope. Just such a nice summer tee. 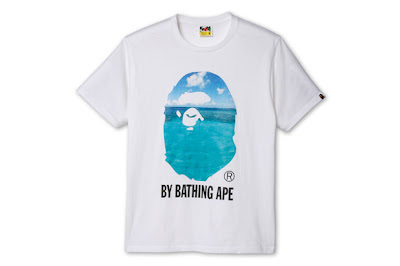 I've always loved the original logo tee by Bape and now MEN’s NON-NO does a sort of ill collabo collection of photo print t-shirts with the likes of John Lawrence Sullivan, UNDERCOVER and N. Hoolywood. Hypebeast put me on, go here.